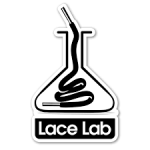 Customers looking to find ways to personalize their sneaker or footwear collection will find all different kinds of laces in a variety of different materials and designs at Lace Lab. This is a one-stop shop kind of clearinghouse for shoelaces manufactured in high fashion styles and designs, many of them featuring high-end and contemporary materials as opposed to inexpensive cloth or fabrics. Free shipping is included on every order to addresses in the United States of $10 or more. VIP rewards good towards future discounts can be earned with each purchase by signing up for a free account on Lace Lab.